Chamber-guided arrow flies fast and far! 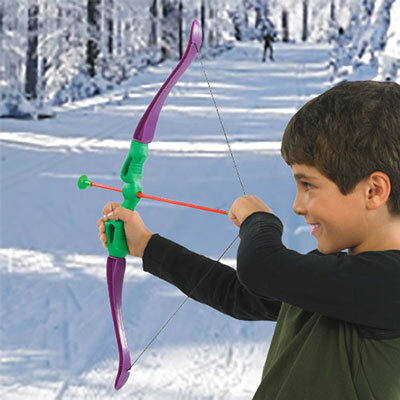 Bow and Arrow Set includes plastic bow with molded hand grips and three suction cup arrows. For ages 6 and up. 4-pc set. Bow: 22 ½"l. Arrow, 14"l.